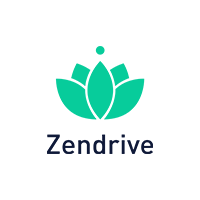 Zendrive is leading the evolution of safety in an era of transportation innovation and mobile ubiquity. We have the largest, richest and fastest growing dataset of driving and driver behavior in the world, having measured and analyzed over 150-billion miles of data in the last two years. Zendrive uses it to better predict risk, reduce collisions, and save lives and money. Our transportation system is evolving. Car ownership in urban centers is peaking and consumers are increasingly choosing on-demand and shared ride services over driving themselves. At the same time, commercial and on-demand fleets are becoming increasingly reliant on mobile technology, and autonomous cars are making the move from science fiction to reality. As miles driven shift away from personal vehicles to commercial or shared fleets, a new framework is required for addressing safety. Through our product suite, we leverage mobile sensor data to provide actionable insights that improve safety for all road users worldwide.